Louis Espagnol’s connection to the area goes back to 1857 when he first came to Pogamasing. He came from a family – his father and three brothers – who were chiefs in the Spanish River First Nation. His family’s origin is interesting as many believe the first Spanish speaking person in the area was a female. However, my research has found a different explanation. Louis’ grandfather was the first Spanish-speaking trader to come to the North Shore area in the late 1700’s. Like many of his French counterparts, he married into the Anishnabe community. According to Jane Espaniel (the anglicized and more common version of Espagnol) McKee, a granddaugher of Louis Espagnol, this new trader was called Manuel. Not much is known about Manuel, however, he had a son who was recognized by the British for his support in the War of 1812 and was awarded George III medals. The son (Louis’ father), was known as Frise, the Spaniard or Espaniole by government and Hudson’s Bay officials, was a signatory of the Manitoulin Treaty of 1836. In the title photo of this website, Louis Espagnol is wearing his father’s medals that he received from the British for his loyalty and war (1812) service. Both were called George III medals: the one on the right has a very vague outline of George’s head. In two major wars, Aboriginals supported the British first in the War of American Independence and second, in the War of 1812. It was doubtful that the British would have won the War of 1812 without their Aboriginal allies. The Espagnol legacy is obvious in other ways. Those familar with the region will recognize that there are several local places that bear the family name: the Spanish River, the town of Spanish and the town of Espanola. Louis Espagnol was one of the first Anishnabe in the region to adopt European customs. He started working for the Hudson’s Bay Company at La Cloche in 1866. It was in the HBC records where I noticed his name changing from Sakquakegick to Louis Espagnol. Given that his father was known as Espaniole, he adopted this as his family name and took Louis as his Christian name. He had an association with the Catholic faith as he was married by a priest and his son was baptised. His appointment as manager of the Pogamasing post in 1869 was not the only Anishnabe appointment in the district, but it was the most enduring, as it lasted for twenty years. The chapter on the fur trade in Pogamasing is told within the context of the broader Lake Huron District. From the many reports written to Montreal it was clear that Espagnol’s management of the Pogamasing post was very successful as the Pogamasing post was one of the top producing posts in the district. Further, the Lake Huron District was one of the top five in the Montreal Department (one of the four HBC departments) in the period (1865 to 1900) that I studied. The building of the railway through the region in the summer of 1884 initiated the demise of the fur trading post in the Pogmamsing area. White trappers destroyed the beaver population which drastically reduced the local Aboriginal trappers’ take. The Pog post, it seems, was the canary in the coal mine of the Lake Huron District. Other posts closed shortly after, impacted by the railway and settlement. Espagnol’s leadership did not stop with the fur trade. His role as chief came to the forefront as he advocated for his starving people most affected by the invasion of white trappers. I am the daughter of Gladys Wanita Kingston, and granddaughter of Margaret (Maggie) Kingston (nee Espaniel), who was the daughter of Louis Espaniel. I am looking for dates of Chief Espaniel’s birth, appointment as Chief and date of death. Also looking for any documents or pictures regarding family history. My brother, David Gauthier, is currently preparing a documentary film on Margaret Kingston’s resting place. Any assistance you could provide in this matter would be greatly appreciation. Thanking you in advance for your consideration. I am also a granddaughter of Marquerite Kingston (nee Espaniel), and now I know why her name was Spanish. I have a portrait of Chief Louis Espaniel. Looks like it was done at a little later time than the one above. The original was given to me from my aunt Edna, along with other Kingston and Espaniel photos. Thankyou for the information about my great-great grandfather. Espagnols and their connection to Pog and Biscotasing in this book as well. children, and in some cases, their names and ages. place where I could meet you then you would save on the postal costs. deals with the Pogamasing story that could be added to my website. I recently had a marker placed on Margaret Kingston’s grave in the Lasalle Cemetery in Sudbury. My aunt Edna, daughter of Margaret, asked me to do this back in Vancouver in 1992. Only recently have I had the means to do so. While waiting in North Bay for the marker to be made, I came across your website as I was researching Margaret’s father, Chief Louis Espaniel. Your wonderful research has opened up a fascinating world of rich family history on my mother’s side (Gladays Gauthier). It is one that I am looking forward to exploring more fully. Accordingly, I would like to extend my deep appreciation and gratitude for the work you have done. Thank you so very very much! I understand you will be having a book launch and signing soon. My sister, Cathy Hancock (the first person to post a comment here) said she is eager to attend the one in Sudbury. I will ask her to purchase a copy for me and get it signed as well. I would attend myself, but I am currently teaching English in Korea. However, I plan to visit Toronto, North Bay and Sudbury again next summer to do some more researching and filming for a documentary I want to make about Margaret Kingston (which of course will also include Chief Louis Espaniel in some way). I plan on doing interviews with as many people as I can find and will be sure to ask about the Pogomasing story as well. You mention in your reply above that you would be willing to share some of your research material if a convenient meeting place could be arranged. Perhaps we could get together sometime next summer. I could visit you in Toronto and arrange to acquire copies of whatever you have that pertains to Chief Louis Espaniel and his children. I am sure some of it would be most invaluable for inclusion in my film. I could also then pass it on to my relatives up north. Alternatively, if you happen to be up in the area next July or August, we could arrange a broader get-together with you and your relatives as well. Please let me know at your convenience if either way would be possible. Thank you for your gracious reply to my relatives, and thanks once more for your most admirable undertaking. P.S. I’m really looking forward to reading your book. I was most pleased to receive your letter about your interest in my research on Pogamasing and I will be happy to share all I have with you. Since you have replied to my note, were you able to find the interview with Jane Espaniel McKee on the web? I have another interview that came via Donald Smith (author of biography on Grey Owl) and there is much more information on your family in it. His biography touches on your family as well, but mostly on the Biscotasing phase. I will try to scan his information and then send it to you when I get caught up on a few things here as I have just returned from Pog. I have received enquiries from several of your family and will post the book launches as I organize them.The Sudbury one is finalized (Oct. 27 at the Sudbury YMCA) and I will be working on the Toronto one this week. I would also be willing to help you next summer when you’re in the area. Once you have an idea of your plans let me know and I’ll see what I can arrange. Great to hear from you and I look forward to meeting you next summer. Mr. Gauthier could you send me an email would like to discuss Margaret’s father, Chief Louis Espaniel on your mother’s side (Gladays Gauthier)? Your request was forwarded to me by Andy Thompson. I would be delighted to talk about Chief Louis Espaniel. As of now, however, I have not been able to learn much about him beyond what is there in Andy’s site. I started off trying to find out more about my grandmother, Margaret Kingston and discovered who her father was. Currently, I am in Korea teaching English, so I have not had the opportunity or time to conduct any research into Louis Espaniel. I will be visiting Ontario again this summer and am hoping to meet with Andy Thompson to acquire material that he has already found. While in Toronto, I would also like to visit the Ontario Archives to find out what I can about both Margaret and her father, Louis. In addition, I will be staying in North Bay and will meet with some cousins who may be able to relate some stories about them. Any other information I get, I will pass on to you. I would also appreciate anything you can relate about Louis or Margaret. I am very grateful for your reply, as well as your really kind offer to scan and send the Donald Smith information on my family. That would be amazing to read. Regarding the Jane Espaniel McKee interview, yes, I instantly downloaded it and skimmed through a few paragraphs before returning to reading your note. The part about traveling to Chicago and back only when the wind was blowing was very funny and touching. I’m saving the whole interview for when I have more time. Thank you also for your willingness to meet me next summer and help out with whatever other information you have that might be useful. I’m really looking forward to meeting you then as well. By the way, I viewed the picture gallery on your site today. It was both entertaining and enlightening. I didn’t know there was a POW camp in the Pog area; and it’s interesting to know that amphibious trucks could be purchased and used by civilians back then. This has further stimulated my appetite for reading your book. I was wondering if you had any if information his grandfathers realitives? One of the historic Menominee chiefs was We Cha Ne Qua, or “the Rubber,” who is said to have protected an American during the war of 1812 by guarding his escape from Green Bay to Mackinaw. He was chief of a small band and a brother to Oshaw wah nem or the”Yellow Dog,” and cousin to L’ Espagnol, who distinguished themselves in the killing of Major Holmes at defense of Mackinac in 1814. 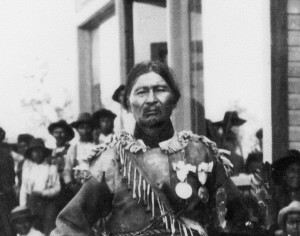 The old chief who formerly lived at the present site of Marinette long prior to 1791 was Te Pak a ne nee. I’m the grandson of Jane Espaniel McKee and grew up with stories from the early days in Biscotasing. In fact, my grandmother’s stories inspired me to write the book “Grey Owl: the Mystery of Archie Belaney” (Coteau Books). Before she died my grandmother left me with two albums of early family photos, mostly taken in Bisco, which I would be happy to share with relatives. If ever in Ottawa I can be reached through the English Department at Carleton University. I am the granddaughter of Margaret (Maggie) Kingston. I would love to share and exchange stories together with you. 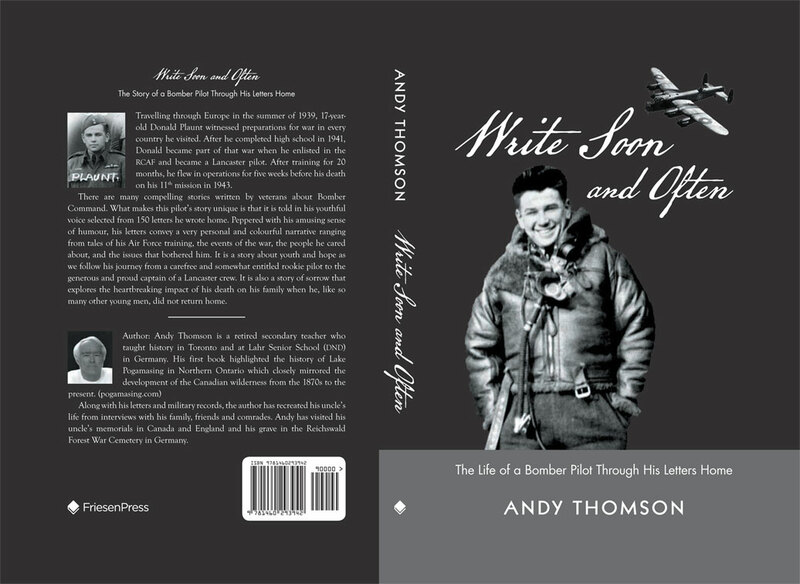 I am sitting here, at this moment, with Andy Thomson in my office. He recommended that I contact you. hey i just happened to find this on the net.Was always wondering where my last name came from well i knew it came from my grandfather but i never ever seen or met another Espaniel. i like to know more about everything someone if they can email me if any one can fill me in it be much appreciated. Outstanding website. Thank you very much for your research and hard work in putting it together for all to learn from and enjoy. I am wondering if you’re familiar with Mary Spanish , born c. 1810. She gave birth to a daughter named Marie St. Germain, who sometimes went by Mary Espagnol. Marie St. Germain was born at Fort Lacloche on May 15, 1938, and eventually married Charles Lamoureaux in Penetanguishene. Mary St. Germain’s father is listed as “unknown” in all existing documentation that I’ve found. I wonder if Marie St.Germain/Espagnol’s mother, Mary Spanish, was kin to Louis Espagnol? Any ideas or insights might have would be tremendously welcome and appreciated. Thanks for your appreciation of the site. It gives me great satisfaction to share what I’ve learned to help people like you find out about their connection to their ancestors. First of all, was Mary Spanish born in 1810 or 1910? I presume it must be 1910 because you then mention that Marie St. Germain was born in 1938. Below is a list of the family of Louis Espagnol from the 1901 Census of Canada. Two children, Ambrose and Alex (who then moved and lived in Biscotasing) were children of his first wife, Angelique Beaudry. I don’t know what happened to her but Louis then married a second time but his wife (Sophie Boyer) didn’t like the bush and she left him. His third wife, Sarah, is listed below in the 1901 census. The only Mary that I see here was a child of Ambrose, possibly Louis oldest child with his first wife. However the dates indicate she was born much earlier that your Mary, so I can’t help you beyond this. The only suggestion I can give is to search some church records as many of the Espagnols were Roman Catholic and their birth/marriage records could be found there. I should also mention that Louis had three brothers but I have only seen them listed with their Anishnabe names and I don’t know if they, or their offspring, adopted the Espagnol/Espaniel name. There is a lot of research that needs to be done to fill in much of this family tree. I know there are many Espaniels in the North Shore area but I don’t know how they are related to one another. Many of the family that have written to me (you can see in the above letters) were grandchildren of Maggie Kingston, while another was the grandson of Jane Espaniel McKee who I have used as a valuable source in my book concerning the family at Lake Pogamasing. Hi Andy! I gave been doing some family research and I believe that in all my research Ambrose Espaniel is my great grandfather. I would live to see photos of him and his family if you still have them! I have one photo that is said to be him. I would I’ve the chance to compare the two. Thank you for your response, and my apologies for the typo, and corresponding confusion. I meant to write 1838. Marie St.Germain (aka Marie Espagnol), daughter of Mary Spanish, was born in 1838 at La Cloche. Given the timeline, I wonder if Mary Spanish, born c.1810, could have been a sister or cousin to Louis Espagnol? You mention three brothers, is there a possibility that Mary Spanish could have been Louis’ sister? Or, besides Frise, do we know anything about the “Spaniard’s” other children? My apologies for assuming the date was in the 1900’s. Although Louis’ father was called the Spaniard, Frise and Espagnol, Louis doesn’t get his Espagnol name, at least officially, until the 1860’s when he was hired by the Hudson’s Bay Company. I quote from my book: “His name evolved from being ‘Louis Sakquakegick’ in his marriage papers in 1866, to ‘Louis Espagnol (Sakquakegick)’ in 1866 when the Hudson’s Bay Company hired him. The family name, Espagnol, was the logical choice, given that he was the son of the chief who was known as Espagniole”. However, Louis did have a sister, Marie Nanjok, but I don’t know anything about her. 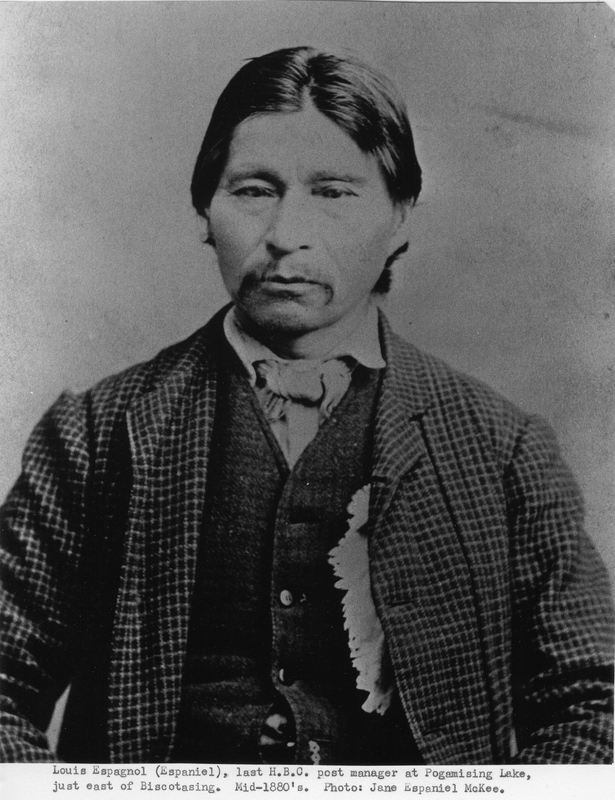 Being born in 1810 would have meant being given an Anishnabe name, but that may have been altered as was the case with Louis. How did you find out she was born in 1810? Very interesting. The year 1810 is just a guess, given the date of her daughter’s birth, i.e., Marie St.Germain (aka Marie Espagnol) born 1838 in La Cloche. With the date of Marie St.Germain’s birth in 1838, Mary Spanish could have been born much later of course; I suppose as late as 1823. We know that Marie St.Germain (aka Espagnol)’s mother’s name was Mary Spanish, because it’s listed in the 1858 marriage record of Marie St.Germain to Charles Lamoureaux (married in Penetanguishene). Marie St. Germain’s father is listed as “unknown”. So the first documented instance of my family using the Spanish name is 1858. The names and marriage are listed in the Simcoe County marriage records, an English language government document, so a government official may have taken liberties with the names, i.e., writing Spanish instead of Espagnol, but I don’t know. In the years after the marriage, the family is sometimes found without Charles, like the 1901 census where Marie St. Germain is listed alone with the children, and all of them (including my great-great-grandmother, Baislise), state their name as Espagnol. Any ideas re when and where Marie Nanjok was born? Or any leads on where I might be able to find out more information about her? I found Marie’s birth information in Indian Genealogical Records (MS 871, reel 11) in the Archives of Ontario. She was probably born somewhere in the vicinity of the Spanish River. I should mention that I derived a reat deal of help from Don Smith’s biography on Grey Owl, “From the Land of the Shadows”, especially his list of references on the Espagnols. It was Louis’ son Alex, who was born on Pog in 1874, that had a positive influence on Archie Belaney when he was living in Biscotasing to become the great conservationist. Good luck in your search. I f you find any connections to the Spanish or Pog Espagnols/Espaniels, please let me know and I can pass it on to others who may be interested. I have been on this website a few times, hoping there would be more updates. I am doing family history, which has lead me here. Our connection would be (on my husband’s mother’s side) – Naponse, and that connection to Ann Noochai from Whitefish Lake, married to Alex Espaniel, b: Dec. 25, 1870 in Pogamasing. I would gladly hear from anyone having info on Ann Noochai ( Nootchai) as spelt on reserve) and her immediate family – to see how the connection is there to Naponse. I also found the information on the photo (taken in 1908) that is married and I now know the photo is of Alex, his sister (no name listed) Annie and Jim. Hope this adds to what you’re looking for. If anyone knew or knows the whereabouts of Adam Espaniel, Shirley Espaniel or Yvette Espaniel from Bisco, please let me know. Evette would probably be in her late 70’s. My apologies for not getting back to you sooner but I just noticed your comment today. I have now posted it. I am the son of Adam Espaniel. He passed away in 1990 at the age of 65 of a heart attack. I don’t have any info of the others you asked about. If anyone has any contact info for Adam’s late sister Jane Espaniel’s daughter Mary, I’d be grateful to get in touch with her. We lost touch when she moved to Calgary. I’m sorry to hear that your father passed away early in life. I wonder if indeed he is the same Adam Espaniel because I didn’t know he had a sister named Jane. Adam served in the army during the Korean War. He and his two sisters, Shirley and Yvette lived in Bisco. Our families were friends and Shirley and Adam often came to visit us when we moved to Stratford. In the early 50’s Shirley made me some awesome mocassins and Adam gave me a jacknife that I still have. Yes I’m pretty sure that was my father you knew. He was in World War 2 and the Korean War. 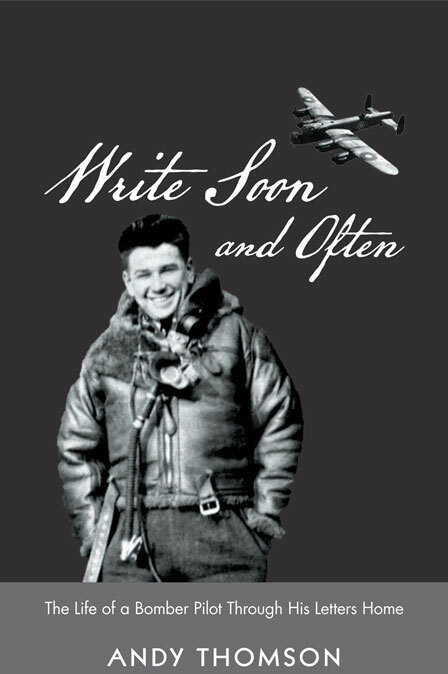 He grew up in Biscotasing until he left for WWII when he was around 15. His sister Jane was about 10 years older then my Father Adam. It probably was your Dad who gave me the jackknife once when he came to visit us in Stratford. I have connected with Yvette. Adam was her and Shirley’s uncle, not her brother, as I had thought. I came across your site by chance and although I’m not researching the Espagnol name it does come up from time to time. I’m a War of 1812 historical re-enactor and with this being the last year of the 200th anv. there are events planned based on action that took place in the North Shore area. For anyone searching for Espagnol and descendants I might suggest getting in touch with Fort St. Joseph on St. Joseph Island, the Ermatinger-Clergue House S.St. Marie and the Ojibwe Cultural Foundation M’Chigeeng on the Island for a start. Al Corbiere has written a number of articles in regards to Anishnabek involvement during the war and in a list of deserving Chiefs ( mostly 1812 veterans) who received presents at Manitowaning in 1843 there is listed a gentleman named ” Spaniard ” recorded as being from ” Saggomk ” ( Metro Toronto Library Samuel Jarvis Papers) which I’m guessing is of the family being discussed here, possibly Louis’ Father? As you’ve already mentioned in regards to medals, one King George the third would have been given before the War and the other very likely the 1814 medal given at the closing of the war and only to deserving Chiefs. As well as Ontario Archives, Library and Archives Canada has a huge holding of documents and many of the Churches serving the area at the time also have many records that may be of some help. As a shameless plug lol, Aug. 22-23 will see a commemorative event marking the 200th anv. of the battle at Mackinac and the capture of the American ships Tigress and Scorpion with both Espagnol and Yellow Dog being portrayed so although 200 years may have passed, they are not forgotten. All the best in your continued searches, if I come across any useful info I’ll be sure to pass it along. Thanks for sending this information on the War of 1812. The only source I had for the aboriginal involvement in the war was from Pierre Berton’s book so I would like to find out more about Louis’ father’s (the Spaniard as he was know by the HBC and government docs) involvement. It’s amazing how much more there is to learn about events and people. I have just returned home so was unable to see your comment but I will post it on my site for others who might be interested. Wow I am so glad to see new entries on this site. I am looking for info on Alex Espaniel wife Annie Noochai as spelt in the “Pog” book, which by the way I found and purchased, in a small store on LaSalle, Sudbury, just before we took a ride up the Spanish River to visit those sites mentioned in the book. That was 2 summers ago now, and I am documenting Espaniel ancestry thru to Whitefish Lake FN. My daughter and I are going to try to construct an Espagnol family tree from the information I have from the archives and if there are other who are interested perhaps we could share their knowledge as well. Most of my data comes from census records and HBC records and involves those who were listed around 1900. I also have another Espagnol photo that I did not post for two reasons: one, I can’t find the documentation that usually accompanies each photo that is duplicated, and second the eye of one of the four people in the photo is distorted – it looks like someone accidentally poked a hole – and I don’t feel comfortable posting such a photo especially because it could upset some. Hi everyone. I’m Rob Kingston grandson of Gladys and brother of Kathy Kingston. Thanks everyone for all the great information. I’m certainly interested in a copy of the book. My daughter Rebecca Kingston has always been interested in her heritage and will enjoy this as well. Unfortunately I do not have any connection to the Sagamok or Spanish River First nation where some Espagnols may be living. As you can read from this site there are many of the Espagnol descendants who live elsewhere. What is also confusing is that there are many different spellings of the name (Espaniel, Espagnol, Espaniole, Spaniel). From my research I found that Louis Espagnol was one of four brothers of the son (known as Espaniole or the Spaniards in government and HBC records) of the original Spaniard (known as Emmanuel by Jane Espaniel McKee)who came from somewhere in the Spanish territories of the U. S. You can find the census records I have posted on this site from an earlier inquiry that might give you some help. His broters and sisters names are, Yvette, Shirley and Doug Espaniel,my Grandfathers name is James Espaniel,his fathers name is Alex Espaniel. Thank you Andy for allowing your site to have posts on the Espaniel family. I am looking for any information on Francois Eshpaion (Espaniel/Napons). He married Marie Faille and had three children Toussaint, Michel (my grandfather) and Mary. If anyone comes across this name, I would appreciate it. I will post your query with hopes that someone in the extended Espagnole/Espaniel/Spaniel/Eshpaion families will be able to help you. Ahnii ..i have been follwoing this and I am soo excited to see hows its developing !! Thanks Roseanne & Sandra for such awesome questions about our family history. I am looking for information on Scotia Lake ..our grandfather Micheal had his tradeline on this lake. would love to see pics or information on his trapline. I tried to find out from the MNR about 10 Years ago .. I was told theinformation no longer exists. Some day I hope to paddle to his cabin location with family. I’ve really appreciated coming across these articles. I’ve been researching my lineage, as many others here have. My trail has gone cold on ancestry.com when I try to research my 6th Great Grandmother, Caron Espagnol and her father Louis (my 7th Great Grandfather). I have found quite a bit of information on her daughter, Margret. It would be so wonderful to have a better understanding of the time line. It has been a treat to discover such strong family connections to this region. I am related through my mother’s side of the family. La Fond > Jourdain > Gravelle/Espagnol … wish I could learn more! Thank you for sharing your research publicly. Thanks for your note Kelsey. I had hoped someone in your extended family would get in touch with all the other Espagnols/Espaniels and try to construct a family tree. I listed a few names in my book and in the archives I found all of Louis’ children. It would be a challenge, but wouldn’t it be a wonderful gift to share with your family.